To commemorate the 40th anniversary of the fifth James Bond film "You Only Live Twice", MI6 launches a special season of coverage to celebrate one of the most stylish and iconic movies in the 007 series. Over the coming days, MI6 will publish articles, interviews and features dedicated to Mr Bond's adventure in Japan. 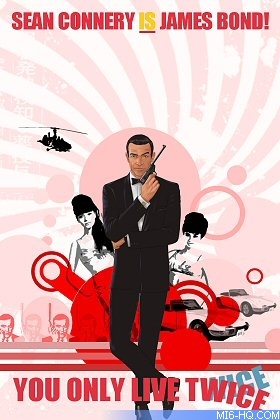 As a special treat, "And Twice Is The Only Way To Live" is a multi-part series featuring personal memories, reflections and opinions from cast and crew members, authors and renowned 007 aficionados. Stay tuned as we revisit You Only Live Twice, from Hong Kong to Japan to outer space! Authors and James Bond fans Charlie Higson, Simon Winder, Gareth Owen and Gary Giblin weigh in on "the big one"
MI6 takes an indepth look at the character of Bond girl Aki - played by Akiko Wakabayashi in the 1967 film "You Only Live Twice"